We who have received salvation through the LORD Jesus Christ by faith, rejoice in the grace of God, that is, God's favor towards us that is wholly unmerited by anything we have done on our own account, but solely on the basis of the Gospel and the Lamb of God's finished work on the cross and His resurrection. As Christians our desire is to walk pleasing to the LORD, growing in the grace and knowledge of the LORD Jesus Christ (2 PET 3:18) and in holiness (ROM 6:22; 2 COR 7:1). In that desire to please the LORD we can sometimes become so zealous as to adhere to Old Testament ways, specifically Mosaic Law (That is, the Law of God as given by Moses on Sinai) and all of the feasts, customs and edicts which the LORD specifically gave to the nation of Israel. Some perceive Law as contrary to Grace, that they are opposed to one another. Others believe that Christians are obligated to follow the Law, even though salvation has always been according to God's grace (Old Testament as well as New); that there is no distinction between Old Testament saints of Israel and the saints of the New Testament church. So what exactly do we believe? Should Christians follow the Law or not? Are we free to disregard the Law and simply ask for God's grace and forgiveness when we partake of sin? We shall consider these issues and more in this article of The TRUTH Under FIRE. God states in this passage that the day is coming when He will make a new covenant with the houses of Israel and Judah and that this covenant will differ from the Mosaic covenant (according to vs. 32) which the children of Israel broke. According to this passage, under the new covenant, God will put His law in their inward parts, and write it in their hearts: the Holy Law of God indwelling the hearts of sinful man – how could this be? The LORD states that He will give them one heart, and one way and that He will make an everlasting covenant; this would seem to be the very same covenant as the “new” one previously mentioned, as it seems to have the same cause and effects (which differs from the Mosaic covenant, which is temporary – we will get into that later). We have seen already the people of Israel restored to the land; while they are not yet followers (in the majority) of YHWH, the God of their fathers, they (that is, the remnant of Israel; ROM 9:27) will one day express faith in Y'shua ha Meschiach, receive a new heart and a new spirit and be indwelt by the Spirit of God in spiritual rebirth (See EZEK 37:5,9-10,14) thus enabled to “walk in [God's] statutes” and “keep [His] judgments and do them”. The LORD Jesus was speaking about “a new heart” in JOHN 3:3,5 when He addressed the Pharisee Nicodemus about being “born again” and being “born of water and the Spirit”. This was Israel's heritage promised to them by their LORD under this new and everlasting covenant; yet the Messiah was rejected by national Israel and it was at that time that the LORD Jesus began to speak of building His church (MATT 13:10-16; 16:18). It must be clearly understood that Israel has not lost the blessing of the new covenant that will be given to them by God (ROM 11:26) as some might teach or that Israel has been replaced in some way by the church (This is the heresy of Replacement Theology (This link will bring you to an excellent teaching by David Hocking on this issue, about 1 hour long); God's promises to Israel are clear and immutable, and to suggest that the LORD has rejected His nation would mean necessarily that God lied, which is impossible for Him to do!). What happened is that by Israel's prior rejection, the opportunity has come upon the Gentiles to receive the Gospel and the spiritual rebirth! 7 What then? Israel hath not obtained that which he seeketh for; but the election hath obtained it, and the rest were blinded. 8 (According as it is written, God hath given them the spirit of slumber, eyes that they should not see, and ears that they should not hear;) unto this day. 9 And David saith, Let their table be made a snare, and a trap, and a stumbling block, and a recompense unto them: 10 Let their eyes be darkened, that they may not see, and bow down their back alway. 11 I say then, Have they stumbled that they should fall? God forbid: but rather through their fall salvation is come unto the Gentiles, for to provoke them to jealousy. See MATT 26:28; 1 COR 11:25; 2 COR 3:6 and HEB 9:15. We shall examine two primary sources of Scripture in dealing with the Law and Grace and how these work together to bring the sinner to salvation, and the saint from justification to sanctification: portions from GALATIANS Ch's. 3 through 5 as well as select passages from the book of ROMANS and HEBREWS. O foolish Galatians, who hath bewitched you, that ye should not obey the truth, before whose eyes Jesus Christ hath been evidently set forth, crucified among you? 2 This only would I learn of you, Received ye the Spirit by the works of the law, or by the hearing of faith? 3 Are ye so foolish? having begun in the Spirit, are ye now made perfect by the flesh? 4 Have ye suffered so many things in vain? if it be yet in vain. 5 He therefore that ministereth to you the Spirit, and worketh miracles among you, doeth he it by the works of the law, or by the hearing of faith? Paul equates the obeying of the truth with the sacrifice made by the LORD Jesus and the resulting reception of the Spirit – accomplished not by the works of the Law, but by the hearing of faith. The Law does nothing in granting us the Spirit of God by which we receive eternal life. If any person is saved, they are saved by believing the GOSPEL in faith and not by any works (either personal works falsely deemed as good and sufficient or by works of the Holy Law). The Christian life begins once the Spirit of God indwells a repentant sinner who embraces Christ and His salvation through His finished work on the cross. 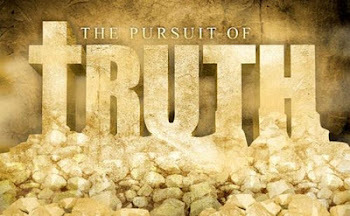 Once begun there is no way that we can continue this work of God by our own efforts, but only by “the hearing of faith” and please note that it states that it's faith – and we read nothing else connected with it; thus faith, and faith alone! The working of miracles is likewise by the operation of the Spirit and not by the works of the Law. 6 Even as Abraham believed God, and it was accounted to him for righteousness. 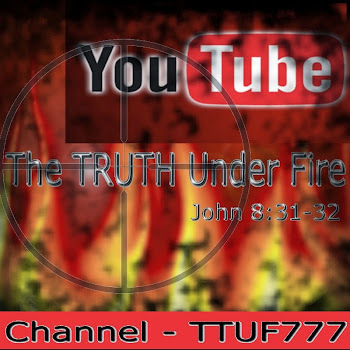 7 Know ye therefore that they which are of faith, the same are the children of Abraham. 8 And the scripture, foreseeing that God would justify the heathen through faith, preached before the gospel unto Abraham, saying, In thee shall all nations be blessed. 9 So then they which be of faith are blessed with faithful Abraham. Note that Paul brings up Abraham as the quintessential example of salvation by faith alone (he “ . . . believed God . . .”) and that Abraham preceded the Law by 400 years. Why is that significant? We shall address this later. Paul also indicates that those who are “of faith”, that is, faith towards God that brings righteousness, are the children of Abraham – does that mean that they are Jewish or 'spiritual Jews'? Not at all – the following verse tells us that God would justify “the heathen through faith” and that in Abraham, all of the nations (not just Israel) would be blessed (this points out that the heathen – the Gentiles – would be partakers of the promise given to Abraham). When did Abraham express this faith which brought about his right standing before God? Was it before or after he became the father of the Hebrew nation (that is, when he was circumcized or before that)? 6 Even as David also describeth the blessedness of the man, unto whom God imputeth righteousness without works, 7 Saying, Blessed are they whose iniquities are forgiven, and whose sins are covered. 8 Blessed is the man to whom the Lord will not impute sin. 9 Cometh this blessedness then upon the circumcision only, or upon the uncircumcision also? for we say that faith was reckoned to Abraham for righteousness. 10 How was it then reckoned? when he was in circumcision, or in uncircumcision? Not in circumcision, but in uncircumcision. So our salvation is comparable to Abraham's own expression of faith, long before the Law was ever given, before he was even the father of the Jewish nation via circumcision. At this point, he was still a Gentile from Ur of the Chaldees! Yet by faith, he was accounted righteous before God – just as we are, apart from the Law. Yet his descendents through Isaac and Jacob, and later through Moses and Aaron did receive the holy oracles of God from Mt. Sinai – the Holy Commandments of God; these, just like their Gentile counterparts (those who expressed faith just as Abraham did) were all saved by grace, apart from the Law (Read ROM. 4:11-13, note esp. vs. 13). Here we may address this assertion that the Mosaic Law is only a temporary covenant. All of the promises that God intends to fulfill for Israel are unmerited in regards to the Abrahamic and Davidic covenants (see links below to explain what these are). These promises will not come through the Law, the Mosaic covenant (which Israel broke time and again, and led to their expulsion from the land, just as God warned (JER 31:32; HEB 8:8-10; DEUT 28:45-47,62-68; 29:22-29)! The LORD Jesus Himself declared that not ONE jot and ONE tittle shall pass from the Law . . . UNTIL . . . That is a very important word contextually! It means that there is a terminus to whatever is being addressed, in this case, the Law. The Law will have an end? It's not going to continue? That's correct, but not according to any theology of my own, but the very words of Christ. These promises that God will fulfill are through Christ Himself Who alone will be able to inaugurate the covenants given to Abraham (the seed that will bless all nations, and inherit the land) and to David (the Branch Who will sit upon the throne of David and rule over Israel). Note that in both cases, their fulfillment does not focus on the Law, but upon promise (covenant) - which themselves are perfectly realized in the Person of Christ, the Messiah of Israel. Note also what Jesus said about the terminus point: "until heaven and earth pass" - when will this occur?? 11 And I saw a great white throne, and him that sat on it, from whose face the earth and the heaven fled away; and there was found no place for them. 12 And I saw the dead, small and great, stand before God; and the books were opened: and another book was opened, which is the book of life: and the dead were judged out of those things which were written in the books, according to their works. We know that this is the Great White Throne judgment where all of the unredeemed shall be judged by the Holy Law of the Holy God. This event transpires after the Millennial Reign (1000 years) of Christ. Which means that the Law will still serve a purpose - and exactly why the LORD said, that those who break one of the least of those commandments (and teach others to do so) will be called least. In point of fact, not everyone during the Millennium will be saved. There will still be unrepentant sinners who will ultimately follow Satan's lead (once he is released from his prison at the end of the Millennium; REV 20:1-3,7-8). These will be forced to follow the Law of the land under the Reign of Messiah and the Law He gave to Moses. They will comply, but not willingly. During the Millennial Reign of Christ, the Kingdom of the Messiah, the prevailing Law of the Land for Israel and those subject to the Messiah's earthly Kingdom, will be the Law of Moses. At the conclusion of the Millennial reign, the Great White Throne judgment follows, and afterwards the new creation will be manifested - but there will be a new heavens and a new earth (for the old are gone away, and with them, the requirement for the Mosaic Law) where there is no need of light by sun or moon, for the LORD Himself will be the glorious light that will illumine all of His new creation (Wow!)!! See REV 21:22-25. 10 For as many as are of the works of the law are under the curse: for it is written, Cursed is every one that continueth not in all things which are written in the book of the law to do them. 11 But that no man is justified by the law in the sight of God, it is evident: for, The just shall live by faith. 12 And the law is not of faith: but, The man that doeth them shall live in them. 13 Christ hath redeemed us from the curse of the law, being made a curse for us: for it is written, Cursed is every one that hangeth on a tree: 14 That the blessing of Abraham might come on the Gentiles through Jesus Christ; that we might receive the promise of the Spirit through faith. Any who would cling to the Law must realize that if they do not continue (in obedience to: “... do them...”) “all things which are written in the Law” that they are cursed of God. One slip up and it's all over (JAMES 2:10)! The Law, states Paul, is not of faith, but we are saved by faith in the grace of God, in His Word, the Gospel of Jesus Christ. Christ has taken the curse of the Law – resulting in our failure to keep the Holy Law of God - for us so that we would not incur the wrath of God as the LORD Jesus did when He hung on the cross (2 COR 5:21a). 2 For the law of the Spirit of life in Christ Jesus hath made me free from the law of sin and death. 3 For what the law could not do, in that it was weak through the flesh, God sending his own Son in the likeness of sinful flesh, and for sin, condemned sin in the flesh: 4 That the righteousness of the law might be fulfilled in us, who walk not after the flesh, but after the Spirit. Jeremiah told us through the Spirit of God that the children of Israel broke the covenant that He made with them through Moses; likewise all of us broke those Holy Commandments – because of the weakness of our sinful flesh. God condemned sin in the flesh, in the “likeness of [the] sinful flesh” of His own Son so that the righteousness of the Law – that is, the righteousness that the Law demands – would be fulfilled in us who . . . what? Keep the Law? No, but who walk “after the Spirit”. 15 Brethren, I speak after the manner of men; Though it be but a man's covenant, yet if it be confirmed, no man disannulleth, or addeth thereto. 16 Now to Abraham and his seed were the promises made. He saith not, And to seeds, as of many; but as of one, And to thy seed, which is Christ. 17 And this I say, that the covenant, that was confirmed before of God in Christ, the law, which was four hundred and thirty years after, cannot dis-annul, that it should make the promise of none effect. 18 For if the inheritance be of the law, it is no more of promise: but God gave it to Abraham by promise. These promises are contained in CHRIST Jesus, the descendent of Abraham (MATT 1:1) and those who express faith in the promises of God. The Abrahamic covenant cannot be disannulled, changed, abrogated, replaced or broken in any way (It's an unconditional covenant, as is the Davidic covenant!) – not even by the Law Paul stated, which came 430 years after. This inheritance is exclusively by promise, this inheritance of righteousness before God. The inheritance of the land, while immutable to the people of Israel was conditional under the Mosaic covenant; if they obeyed God in keeping the Law and the Feasts and Sabbaths and offerings they would be blessed; or cursed if they didn't and the land would cast them out as God's judgment (See DEUT 27 and DEUT 28 for the curses and blessings God promised Israel if they disobeyed or obeyed His voice, respectively. See also DEUT 29:24-28). Upon repentance and God's timing, they would then be restored to the land. So salvation by faith in the grace of God is expressed the same way in our day as it was in Abraham's and the Law was never intended to supplement our right standing before God, or replace the means of salvation. If this is the case, then why was the Law given? Good question! Paul gives the answer in the following verse in GALATIANS! 19 Wherefore then serveth the law? It was added because of transgressions, till the seed should come to whom the promise was made; and it was ordained by angels in the hand of a mediator. 20 Now a mediator is not a mediator of one, but God is one. 21 Is the law then against the promises of God? God forbid: for if there had been a law given which could have given life, verily righteousness should have been by the law. But the conclusion of the matter is, the Law cannot bestow life, only holy judgment against sin and the pronouncement of death against sinners (ROM 7:5). Righteousness therefore is not achieved by the Law, but by believing in God's promise, according to His Word; faith in the mediator between our holy God and sinful man (See 1 TIM 2:5). 22 But the scripture hath concluded all under sin, that the promise by faith of Jesus Christ might be given to them that believe. 23 But before faith came, we were kept under the law, shut up unto the faith which should afterwards be revealed. A school master in the days of the Greek (and Roman) empire was a pedagogue – a guardian, teacher, and in a sense, a stand-in parent whose responsibility was to teach the parent's children and to safe guard them. The Law certainly teaches us about the holiness, righteousness, justice and glory of God. The Law is likewise a guardian that directs us towards that which is well pleasing to the LORD as well as warns us of disobedience towards God, and the penalty and destructive power of sin – but this is as far as the Law can possibly go, even on 'a good day'. Salvation must be by the grace of God by faith in His Word – and that is all. Any supplementation to this would then transfer some of the work of salvation to our own account, based on our own obedience and thus merit – but that is contrary to the grace of God, which is based on the merit of Christ's obedience to the Law (MATT 5:17) and righteousness wholly apart from our own! What does this mean “before faith” in verse 23? That would be, before the revelation of the Messiah, the LORD Jesus Christ and any expression of faith we would place in Him, we were 'tutored' by the Law – and this has a secondary application as well: before we express personal faith in the LORD, we are facing the holy judgment of the Law and found already condemned by it (JOHN 3:18) and will remain condemned provided that we fail to receive the Gospel, our only hope for salvation! Once saved however, we become God's children (JOHN 1:12) and share in the blessings and inheritance of Abraham as his Gentile 'offspring'! 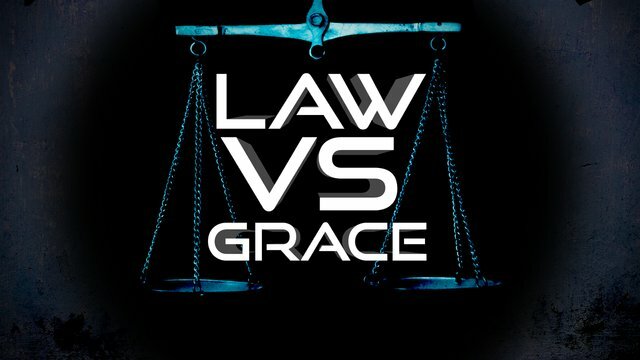 Here we shall end Part One; we will continue with this study and pick up in Galatians, then on to Romans, and touching on a couple of passages out of Hebrews as we examine the Law and grace of God. Hi. Thanks! Came across the post when searching for a sermon on the exact topic. A question for you, however: How can you say that the law was given to us to reveal to us his Holiness (by which I can't help but Feel that you refer to His "Character"). The full nature of God was made known to us through Christ at illumination of the Gospel. You do point out that we fully leave living by the law after salvation, but seem to contradict by suggesting that there were somehow other functions of the law other than to point us to His manifest glory through His son's death and resurrection. I respectfully disagree and say that we need to stop teaching such other functions of Law. The apostle Paul testifies that the Law is holy, just and good. I would accept that this teaches us that GOD the giver of the Law is reflected in the holiness, justice and goodness as the Law is here described. It is this profound sense of holiness and goodness that we see in the Law that testifies of the truth we are not holy and good, but sinners condemned by the justice of the Law. I hope I have clarified this matter for you. And I fully agree that the entire nature of God - His holiness, goodness, justice AND His mercy, grace and truth are found no where else other than in the Person of His Son, the WORD Incarnate - Jesus Christ! Amen! Yes I think that this is a very important teaching today, that Christ is the Word and the full and true image of the invisible God. John has some excellent description of this. Yes, I can see what you are saying here. I would still maintain that the only purpose of the law was to be a shadow of things that were to be made known in the person of Jesus. I think what we need to do is ask questions about what Paul really means by descriptions of the law such as 'Holy', 'just' and 'good'. Holy - means set apart unto God's special purpose. I think we can aptly say that God's purpose for creation of all things, including the law, was the knowledge of Him through his Son's atonement. Good - There is nothing inherently wrong with the law - and this is what I think is Paul's main stance toward the law in Scripture through Romans and other texts, being that there is nothing wrong ith the law in and of itself. If law is adhered to from good motives then it is righteousness to the believer who commits to subscribing to the law, but let us not forget by grace alone and through faith alone granted us by our heavenly Father. Just - the law is just, yes. How so? It is just in that is rightly achieves the purpose for which it was sent, judging the hearts of men. (But be careful here, because the primary purpose for which the law exists was to produce the knowledge of Christ, the perfect Lamb. The law briefly judges our hearts, but if it is mere conviction of moral inability, then the deciever has won and Christ's name is devalued. With such an attitude no man would escape condemnation, except to flee to Christ. So that is the sense of justice I think Paul means.